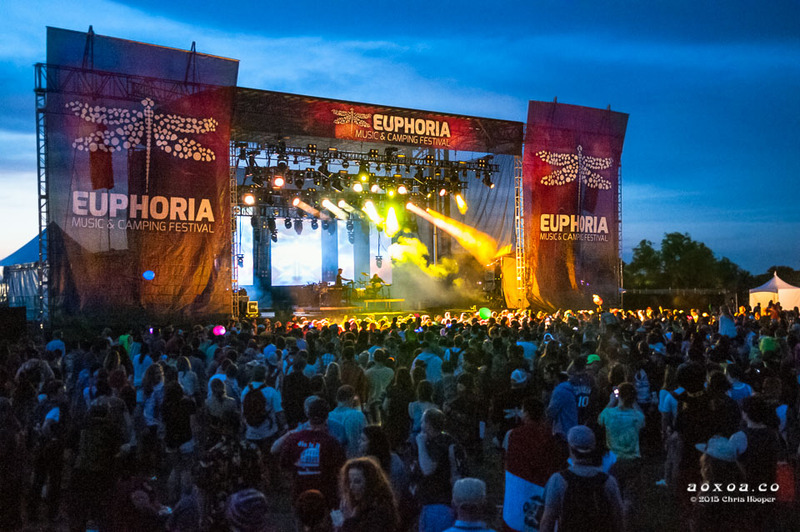 Euphoria Music Festival 2016 5th anniversary features special guests, Eric Prydz and Cherub, who join with prominent headliners Bassnectar, Above & Beyond, Dillon Francis, STS9, GRiZ, Juicy J, Tycho and over 60 additional artists. 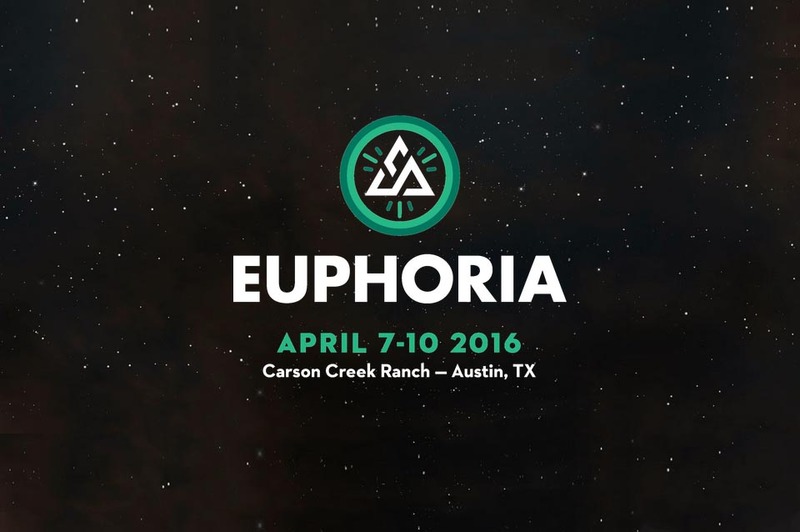 Euphoria Music Festival 2016 has the ingredients to transform from Texas’ leading electronic/dance festival into one of the country’s best. 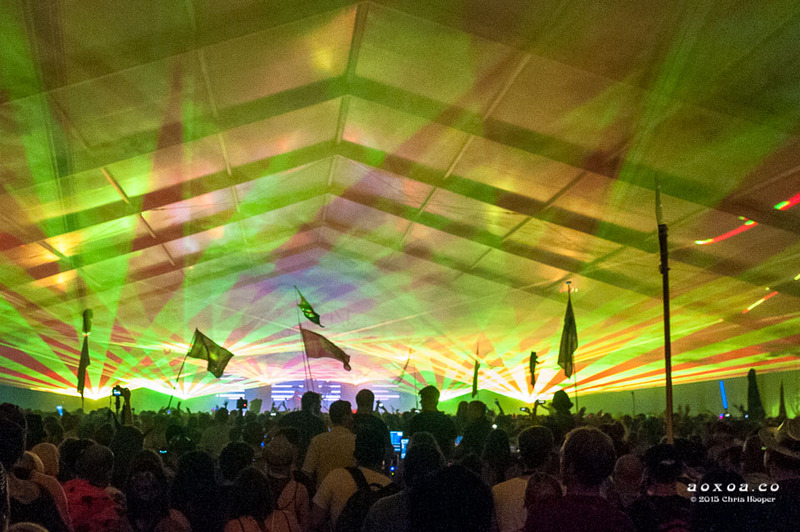 If you are curious about the history of Euphoria Music Festival, visit the review from 2014. 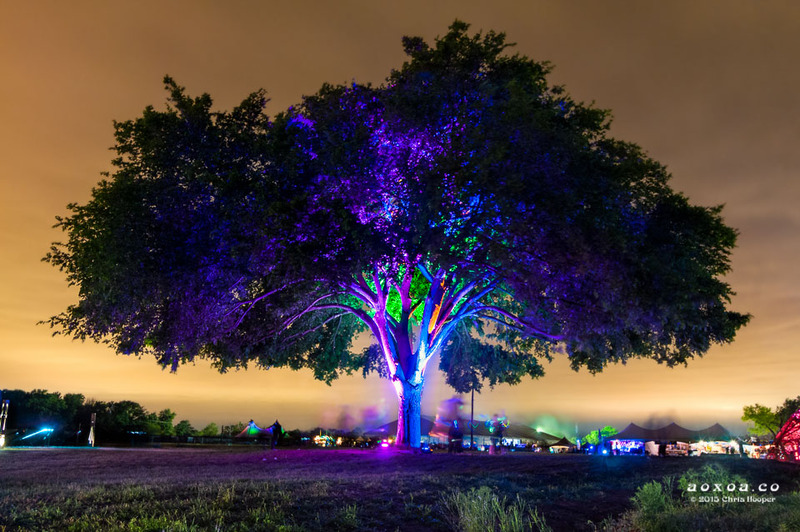 See the AoxoA review for Euphoria Music and Camping 2015. $199 4-Day Festival Passes Now On Sale; Includes Thursday Night New Moon Pre-Party Featuring The Polish Ambassador. 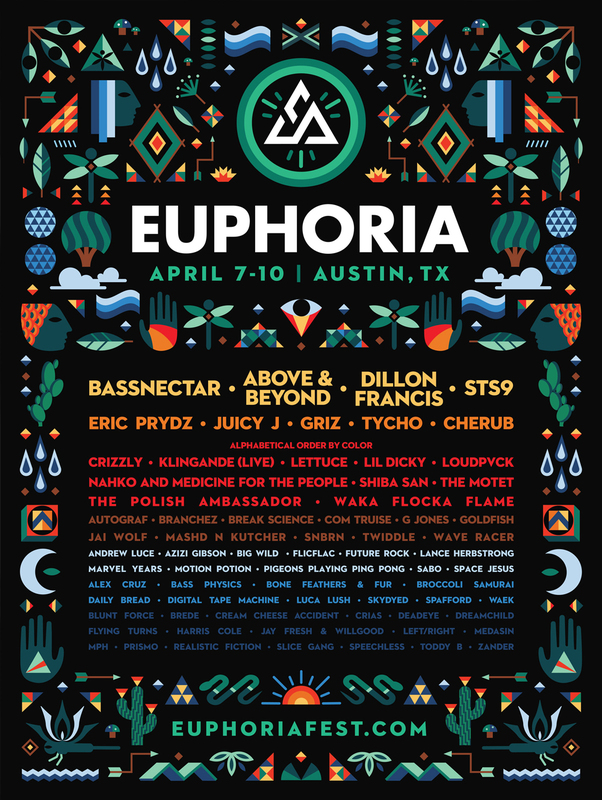 Starting fresh in 2016, Euphoria Music Festival 2016 is back and announcing its full lineup of performers slated for the highly anticipated festival this April 7th-10th in Austin, Texas. After much fan speculation, special guests Eric Prydz, who’s debut studio album, Opus, drops February 5th and electro-indie duo, Cherub joins previously announced headliners. Also joining the now 60+ performer lineup are: Crizzly; Klingande (Live); Shiba San; The Polish Ambassador; Waka Flocka Flame; Autograf; Break Science; Andrew Luce; Azizi Gibson; Flicflac; Marvel Years; Motion Potion; Pigeons Playing Ping Pong; Sabo; Alex Cruz; Bone Feathers & Fur; Broccoli Samurai; Luca Lush; Waek; Blunt Force; Brede; Cream Cheese Accident; Crias; Deadeye; Dreamchild; Flying Turns; Harris Cole; Jay Fresh & Willgood; Left/Right; Medasin; MPH; Prismo; Realistic Fiction; Slice Gang; Speechless; Toddy B and Zander. 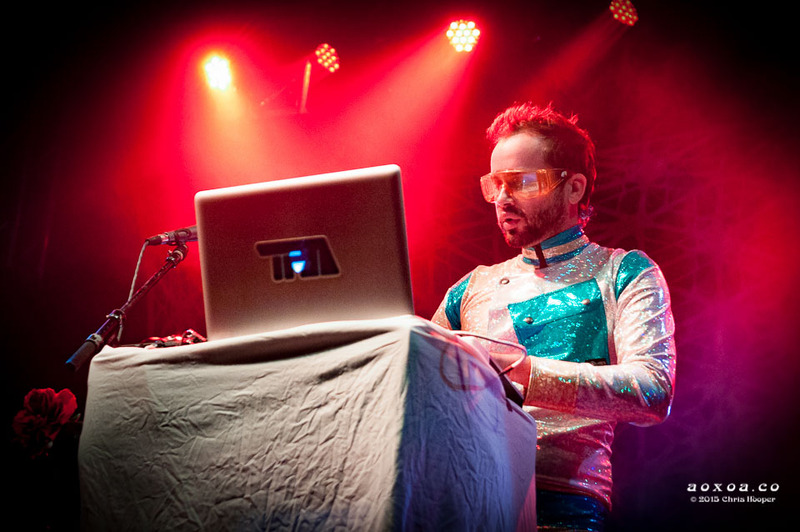 Previously announced performers include: Lettuce; Lil Dicky; Nahko & Medicine for the People; Com Truise; Goldfish; Loudpvck; Branchez; The Motet; Bass Physics; Big Wild; Daily Bread; Digital Tape Machine; Future Rock; G Jones; Jai Wolf; Lance Herbstrong; Mashd N Kutcher; Skydyed; Space Jesus; SNBRN; Spafford; Twiddle and Wave Racer. 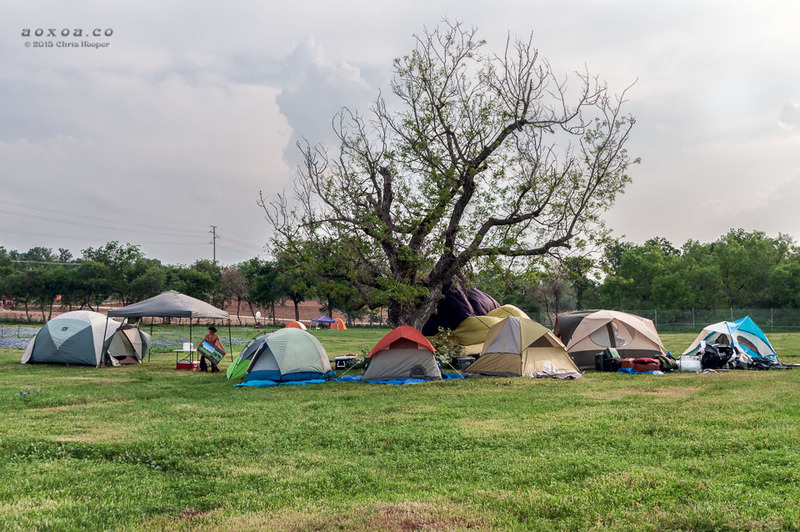 This year, Euphoria will be opening the gates a day early to allow campers to get settled in and stake claim on their home for the next four days. With this added day comes the Thursday night New Moon Pre-Party in celebration of the first phase of the Euphoria family’s return back to Carson Creek Ranch. The New Moon Pre-Party will be exclusive to all four-day campers and will feature a special set by The Polish Ambassador. 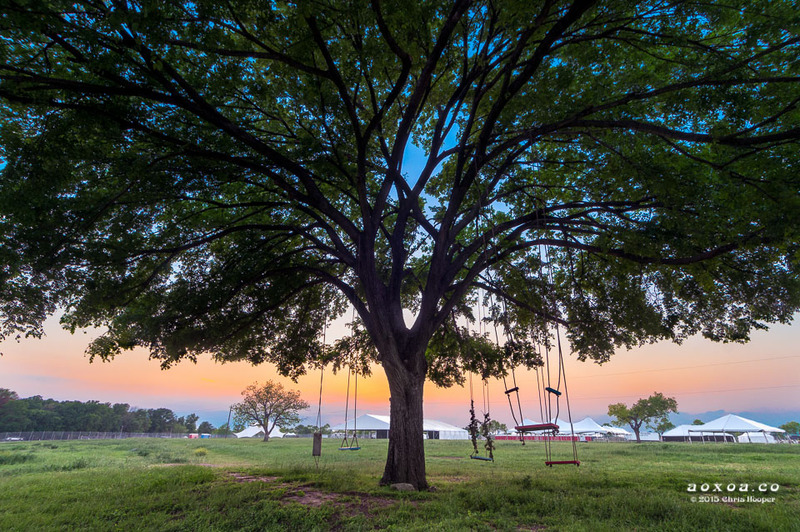 Conveniently located just minutes from Downtown Austin, the multi-stage music and camping festival will return to Carson Creek Ranch on the banks of the Colorado River. It will offer world-class visuals, unique stage designs, artist workshops, interactive experiential installations, enhanced camping option and much more. General Admission passes are available now for $139, plus fees. Camping options, which includes a new Thursday night New Moon Pre-Party, are available starting at $199, plus fees. Multiple VIP packages with preferred viewing areas, private bars, VIP restrooms and showers, concierge service, luggage drop off and bell-hop services, and express entrance are available starting at $229 (without camping) and $324 (with camping). Early bird ticket purchasers can upgrade to VIP for $120 or include a camping add-on for $65. Tickets are available online at www.euphoriafest.com. Euphoria Music Festival is an 18 and over event. 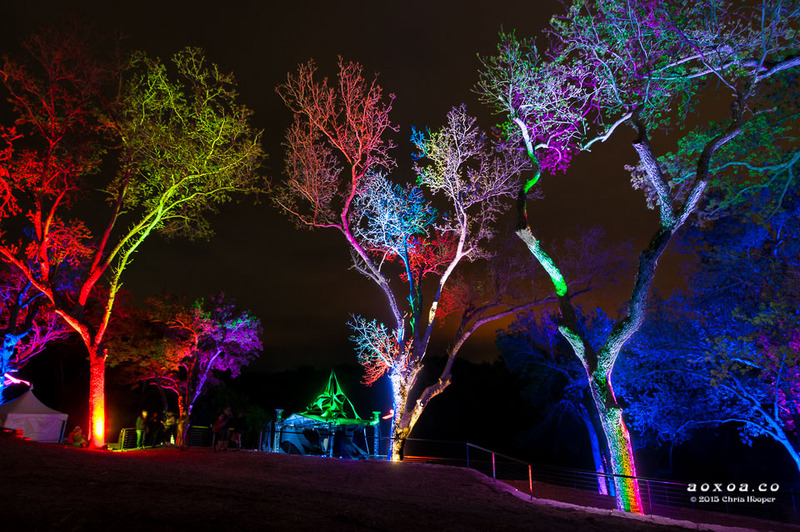 Euphoria Music Festival is produced by Vivid Sound Entertainment. Share the post by clicking one of the share buttons.